⋅ 88% of students participate in volunteer service-learning projects, including several ongoing community partnerships and national or international trips during Alternative Spring Break and January Exploration Term. ⋅ The academic program at BSC is complemented by opportunities that give students a wealth of life experiences in and out of the classroom, and is distinguished by these innovative programs: Harrison Honors Program, Bunting Center for Engaged Study and Community Action, Hess Center for Leadership and Service, Sklenar Center for International Programs, Vail College Fellows Program, Stump Entrepreneurship Programs, and Foreign Languages Across The Curriculum. Beautifully landscaped residential campus located on 192 acres near downtown Birmingham, Alabama, featuring modern academic and student life facilities, including a new Admission Welcome Center, football complex, Urban Environmental Park with lake for leisure and academic use, apartments for student living, and two suite-style residence halls for men and women. Starting with the 2018-2019 school year, BSC will reset tuition and mandatory fees back to 2002 levels. Tuition and mandatory fees will drop to $17,650 (from $35,840) before financial aid. The total price of attendance will be $29,950. A more transparent price — plus aid for academic achievement and need — means a more personalized and transformative education is now within reach for more students. Birmingham-Southern will continue to offer merit- and need-based aid and honor state, federal, and private aid. The college is expanding programs and making improvements to the campus as a part of its overall plan to keep improving the student experience. Birmingham-Southern College has a 150 year track record of preparing students to become professionals and is committed to providing its students with the real-world experiences necessary for professional success. Through the rise3 program and the Krulak Institute for Leadership, Experiential Learning, and Civic Engagement, every student has the opportunity to engage in an off-campus internship, study abroad, conduct research with a faculty member, or take part in a community service project. The college’s January Exploration Term, or E-Term, offers students four flexible weeks to pursue a single course, conduct an internship, travel, or tackle a research or service-learning project. Faculty-led E-Term trips include studying the culture of Australia, exploring ecosystems in Costa Rica, teaching in a village school in Ghana, and serving the homeless in San Francisco. 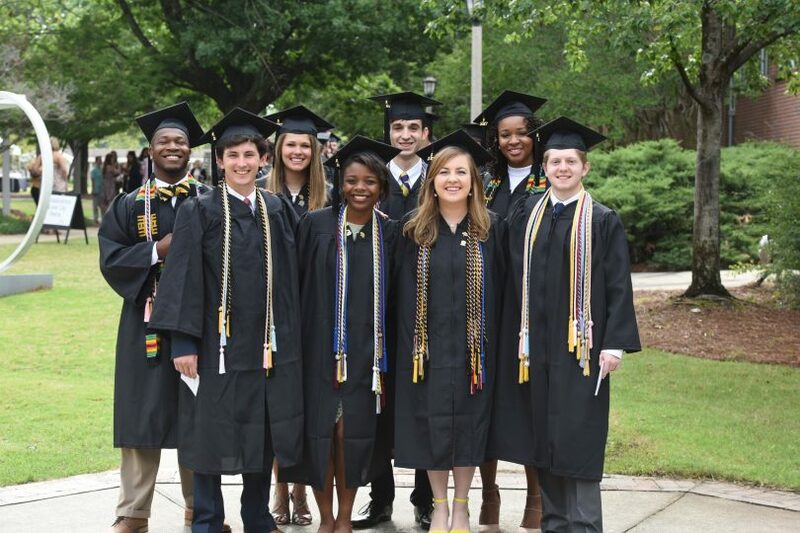 Birmingham-Southern’s Norton Board serves to help students connect their dreams and ambitions to professional experiences. This network of leading professionals have a wide range of expertise and serve as mentors to students, helping them find internship and shadowing opportunities. The Fiske Guide to Colleges named BSC one of the 20 best-value colleges and universities in the United States, citing the college’s strong academics, campus life, and tuition reset. It praised Birmingham-Southern for its small classes, caring faculty, and expanding list of academic offerings. The Best Buys are schools that offer outstanding educational value as determined by academic quality in relation to the net cost of attendance. Forbes magazine routinely includes Birmingham-Southern on its “Grateful Grads” index, which marks return on investment by measuring how many of its alumni give back. Alumni are deeply involved in the campus community and frequently offer internships and mentoring opportunities to current students. BSC leads U.S. News & World Report’s shortlist of 11 schools where graduates pursue continuing education, with more than 40% of BSC students headed to graduate and professional programs. Birmingham-Southern was the highest ranked liberal arts college in the nation for “safety preparedness” in a recent Reader’s Digest survey. More than 96% of full-time faculty hold the most advanced degree in their field. Birmingham-Southern’s new Explorations curriculum moves general education away from a more traditional, “check-box” approach — which emphasizes disciplinary requirements — to one that stresses the importance of what students learn to do. This new pedagogy of doing is illustrated by requirements that guide students in learning how to communicate effectively, solve complex problems in creative ways, connect their coursework to the wider world, engage with their social and political world, and engage in self-directed teaching and learning. These are precisely the skills and perspectives that professional schools, graduate schools, and employers are seeking in today’s increasingly complex and inter-connected world. In addition to Phi Beta Kappa, more than 20 other honorary and professional societies in various academic fields. You may work with a faculty committee to design your own major in any specific academic interest you might have. Allowing students to participate in designing their own academic programs encourages enthusiasm and responsibility while adding to the intellectual vitality of the College. You may also pursue independent study of a topic of special interest in close cooperation with a faculty member. Birmingham-Southern College prepares its students for professional success by offering every student the opportunity to engage in an off-campus internship, study abroad, conduct research with a faculty member, or take part in a community service project. Each BSC student has the opportunity to be mentored by a professional in a corresponding field of interest who will help the student to find internships and shadowing opportunities, building the student’s resume. This provides Birmingham-Southern graduates with hands-on experiences that place them ahead of their peers. An education at Birmingham-Southern College prepares students for careers and for success in graduate and professional schools. The new Explorations general education curriculum—implemented in fall 2011—was built around five learning outcomes deemed necessary for college graduates to be successful in today’s global society. The skills our students develop—the ability to communicate well in writing and orally, the ability to solve complex problems, the ability to work independently and as a member of a team—are precisely the skills that employers and graduate school admissions committees tell us that they want. Birmingham-Southern annually ranks No. 1 in Alabama and among the nation’s best in percentage of all graduates accepted to medical, dental, or health career programs, often receiving prestigious scholarships. BSC also ranks high nationally in graduates accepted to law school. Graduates who choose to move directly into their professional careers have a distinguished record of job placement. More than 95 percent of Education program graduates who seek teaching positions are placed. In recent years, five BSC students have received the prestigious Harry S. Truman Scholarship for graduate study in public service, as well as numerous Fulbright Scholarships, Rotary Scholarships, and performance awards and honors. Other students put off their career or graduate school for a year to serve others through the Peace Corps and Teach for America.